Ben McPherson from his Prohibition days. Photo by Chuck Cook. Update, 5/10/18, 11:33 a.m.: This event was canceled due to a non life-threatening medical issue for the chef. We will let you know if this gets rescheduled. See below for updated information. Update, 5/21/2018 9:00 a.m.: Chef Ben McPherson says that the BOH Pasta pop-up at Glitter Karaoke has been rescheduled for June 28. He’s still expecting to serve most of the original items (as described below) and other Italian dishes. We will post the complete menu once it becomes available and if you would like to reserve a table now you can use this link . We will also keep you updated on the Maker’s Mark event mentioned below as details unfold. In the mood for some fresh heirloom grain pasta, aged Parmesan cheese and Roman style pan pizza? Ben McPherson’s BOH Pasta pop-up this Thursday at Glitter Karaoke has you covered. As noted in our recent story, McPherson, formerly of Batanga, Prohibition Supperclub & Bar and Krisp Bird & Batter, is one of five chefs who has signed on for a spot at Bravery Chef Hall. BOH Pasta is slated to be a showcase for McPherson’s authentic Italian dishes. Fresh from a research trip to Italy, the pop-up this Thursday, May 10 at Glitter Karaoke will give Houstonians a taste of what’s in store when the chef hall opens later this year. 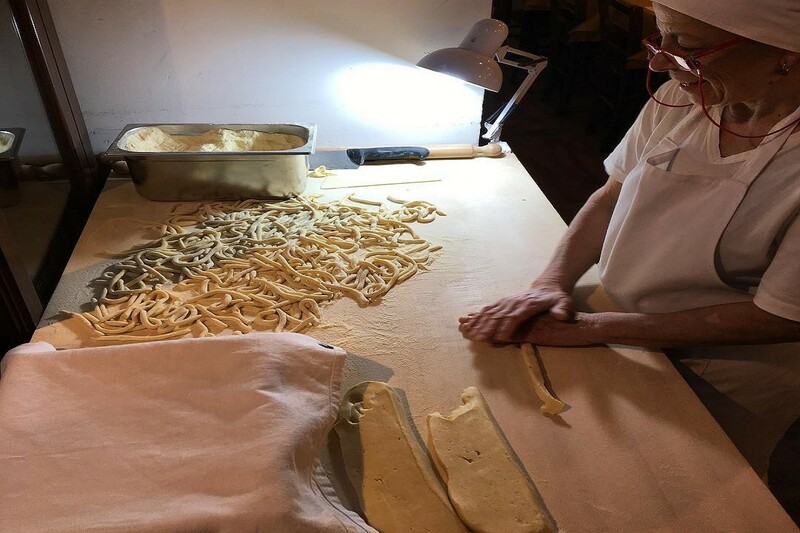 Pasta making traditions in Italy. Photo by Ben McPherson. 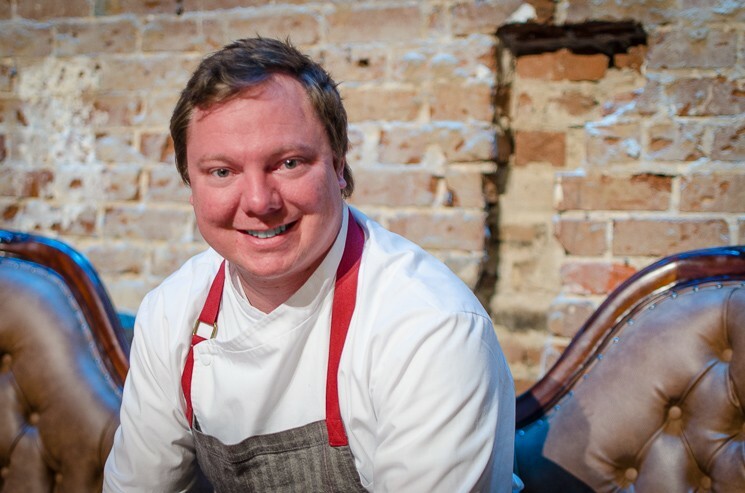 While in Italy, McPherson visited local and independent restaurants recommended to him by a former colleague from his chef days in Atlanta. Some dishes that stood out as the most notable and influential stops on the trip were: homemade raviolis from Trattoria Corrieri in Parma dressed with butter and Parmigiano Reggiano cheese; the Tajarin pasta in Alba (a pasta from the Piemonte region of Italy similar to angel hair pasta, but richer in texture and density) and the Italian street food popular in the historic Jewish ghettos of Rome—specifically artichokes alla giudia and pasta alla griglia. 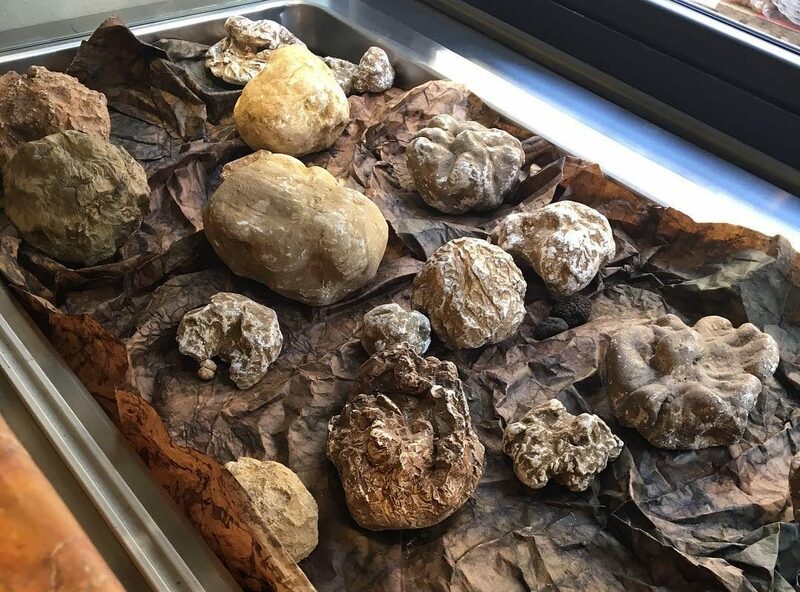 White truffles from Alba. Photo by Ben McPherson. Pizza “al taglio”, or Roman-style pizza, like what McPherson sampled at Gabrielle Bonci’s, Pizzarium in Rome (last year the famed Italian pizza maker opened his first stateside location in Chicago). The “al taglio” refers to the large rectangular pans the pizza is baked in. McPherson brought back one of these pans to prepare Thursdays pizza which will be made with spelt heirloom grains and topped with DOP buffalo mozzarella, Three Sisters Farm tomatoes, roasted peppers and boqueróns. An egg yolk Einkorn wheat based spaghetti alla chitarra prepared with Bluefin Tuna bottarga (the caviar of the Mediterranean), fried breadcrumbs, lemon and garlic oil. White truffles and Toma cheese from Alba with fried risotto balls. A tasting of the 48-month-old DOP Parmigiano Reggiano McPherson brought back from Italy. The event starts at 8 p.m. and the menu is set to be à la carte. Reservations are highly recommended, guests can RSVP via email at [email protected] or via messenger through Glitter Karaoke’s Facebook page. Glitter Karaoke is located at 2621 Milam. If you can’t get enough this week, be sure to follow BOH Pasta for information about their next pop up with Maker’s Mark this June.